Those who know me personally know that I love bad jokes to a fault. 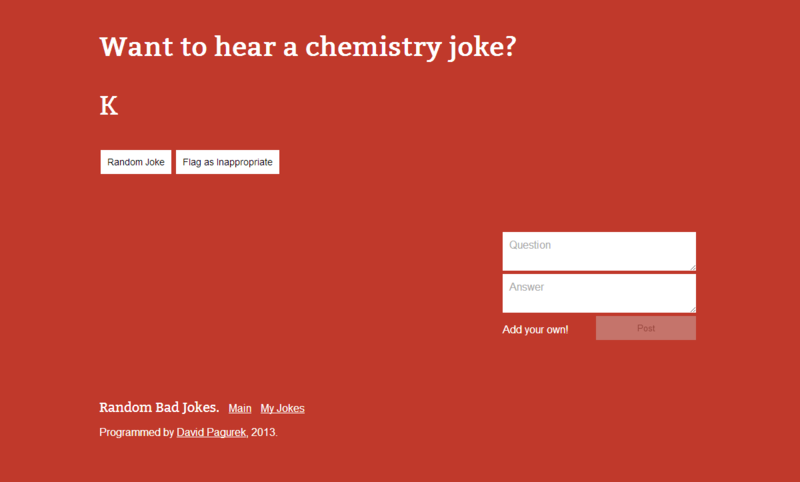 Reloading the website takes you to a new bad joke randomly selected from the database. 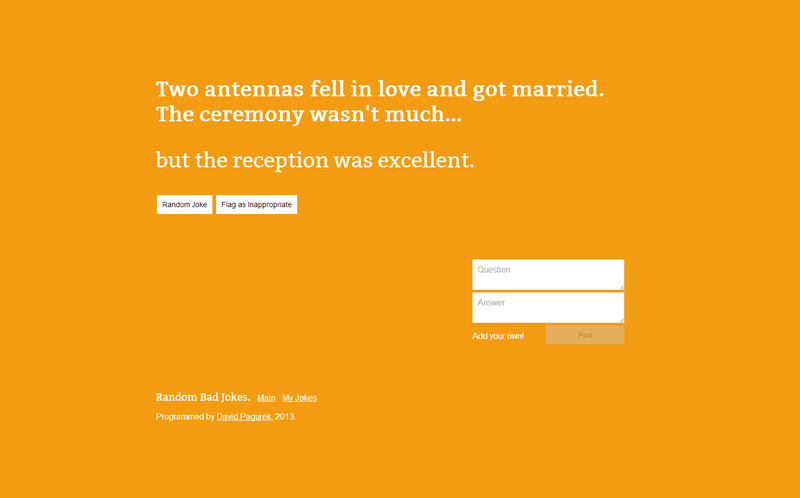 Pressing the "Random Joke" button uses AJAX to load in the next joke to minimize requests. Pressing the "Flag as Inappropriate" button marks a joke as being spam, offensive, or not actually a joke. If a joke is flagged by enough people, it will be automatically deleted. 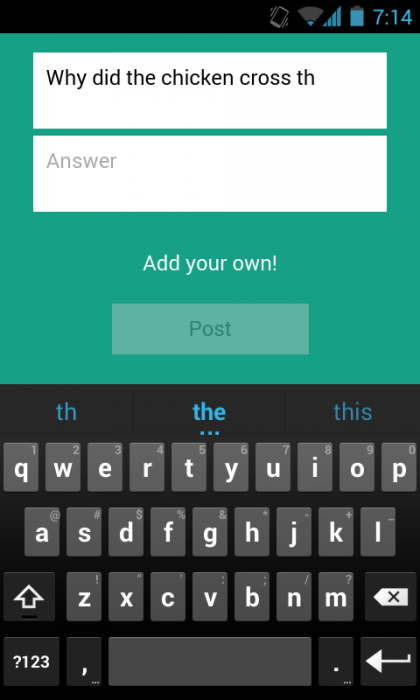 People can easily submit their own bad jokes to the site without having to create an account. A maximum amount of jokes added per day is imposed per IP address to help prevent spam. There is a page showing every joke that has been submitted by your IP address. You are given the option to update your jokes. The site has been built responsively and therefore works normally even on mobile devices.